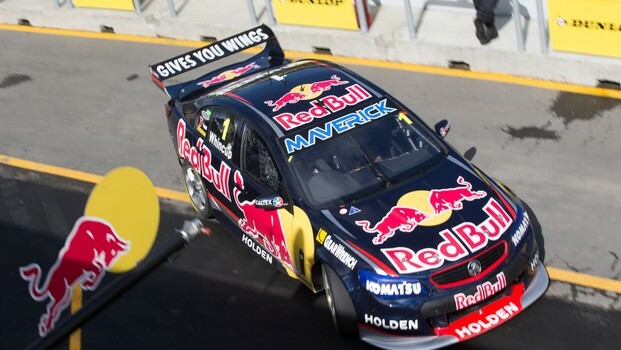 Red Bull Racing Australia's Jame Whincup has gone fastest in the first of two back-to-back qualifying sessions. He will enter the top 10 shootout later today, along with Fabian Coulthard, Mark Winterbottom, Jason Bright, Craig Lowndes, Shane Van Gisbergen, Alex Premat, David Reynolds, Garth Tander and Scott McLaughlin. Tim Slade retired from the session with suspension issues, Todd Kelly looked as if he was stopped off track and Craig Lowndes had a massive moment coming around the final corner, just missing the fence. Qualifying two is coming up.